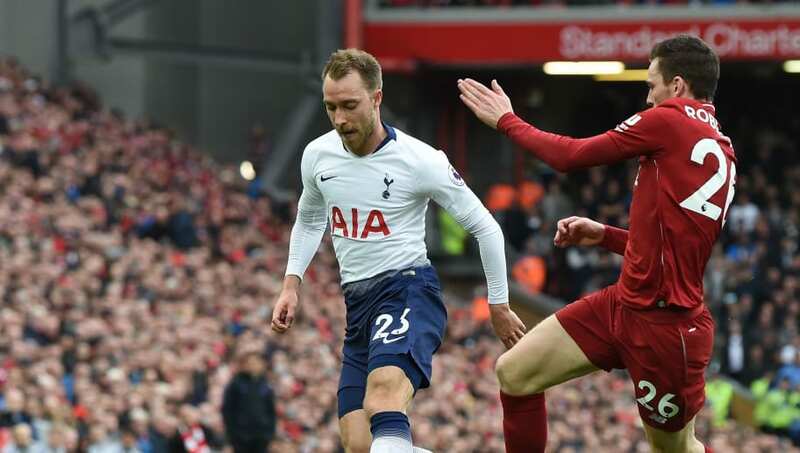 ​As another title challenge seems to be slipping out of Tottenham's grasp, for Christian Eriksen in particular, performances are again not living up to expectation. Although the Danish international has made 28 appearances in the Premier League this season - bagging himself five goals and ten assists for Spurs - the attacking midfielder has received his fair share of criticism in the wake of recent results. Despite two decisive Champions League victories against ​Bundesliga leaders, ​Borussia Dortmund, ​Tottenham have only picked up one point in their last five Premier League games, with Eriksen making the starting XI in all of them. Signing for the Lilywhites in 2013 for £11m, the ​former Ajax star showed his promise early on as he provided a steady amount of goals and assists during his first few seasons at the north London club. And after putting in a number of impressive ​Premier League performances over recent years, the Spurs talisman then shone during Denmark's World Cup and Nations League campaigns, building up a great sense of expectation as he returned to Tottenham for the season's start. However, as the 2018/19 season has ticked on, the Dane hasn't been performing as well as Tottenham fans have become accustomed to, failing to score against any of the top six all season. He bagged an assist for ​Lucas Moura's goal​ against Liverpool at the weekend, but the creative spark that he has become known for has been sadly lacking when it's really mattered, prompting many to start looking beyond statistics. Indeed, with speculation rife regarding a potential move to Real Madrid, the Danish international has certainly looked fatigued and unimaginative in recent performances, with fans and critics now pondering his commitment to the club. He came off the bench to score a penalty in Denmark's 2-2 draw with Kosovo - whilst also playing 90 minutes against Switzerland as they drew 3-3 - though questions about his fitness have been swept under the carpet until now. Ultimately, the criticism seems to lie within the fact that Eriksen has simply been lacking in quality when under pressure at Spurs, with the majority of his positive contributions this season coming before the Christmas break. Although the same can be said for the Tottenham side as a whole - only recently relegated ​Fulham have picked up worse results in their last five games - Eriksen has certainly been targeted as an under-performer during their search for a Premier League title. With other stand-out players such as ​Son Heung-min and Lucas stealing the spotlight this season, Eriksen can perhaps count himself lucky that up until now, his up and down levels of performance have been largely covered for. You should include the part of Beckham winning all possible trophies available within that period while Eriksen is in the shadows of Moura and Son at Spurs. But with Spurs now fighting to secure a Champions League place for next season, there can be no hiding for ​Eriksen. His performances must improve and he must get on the ball and dictate proceedings - or he runs the risk of fan mutiny and hostility as dissenting voices continue to doubt whether or not he wants to stay at the club. Whether it is a product of unrest or poor form remains to be seen, but Eriksen will know that things much change - starting with Spurs' first game in their brand spanking new Tottenham Hotspur Stadium, against Crystal Palace.